Can you envision a land where working families do not have enough food for their children, where inner city violence affects 1 out of every 5th family, where children are abandoned and left for the state’s care, and where almost half of the school age students have no idea who Jesus Christ is? Believe it or not - that mission field is right here in the U.S. I want to share with you a challenging ministry opportunity God has presented to me. During (fill dates), I will be going to Florida with a team from (fill with your team name / church / school). First, we will be allowing God to work in our lives through the personal enrichment that comes from this type of a mission trip. Secondly, this Prayer Journey will help us focus our individual prayers by traveling to a unfamiliar place and praying 'on-site with insight.' We will pray for the families and people that God may open their eyes and hearts to the message of Jesus. Thirdly, we will be physically working to do home rehab and clean up in an effort to help families that are hurting due to unemployment, sickness, or disability. The physical work will be tiring and we will also be ministering to the families as well as their children. Lastly, we will encourage each other to take the lessons learned on this mission field back to our home towns and churches. I'm excited about the opportunity and experience that lies ahead. I hope you see the value in what we will accomplish. As you can imagine, a trip like this requires financial support from a number of people. I need to raise ($fill in) by (fill in date). If you can support me in a financial way, I would be very grateful. And, most importantly, I also need your prayer support. Prayer is the fuel that will allow us to be successful as we follow God's leading in ministry in these countries. Without prayer, nothing will happen. If you would like to be part of this mission through your financial support, send a check to: [ insert church address here ] Envelopes are enclosed for your convenience. Please make your check payable to [ insert name of church here ] and write "Florida Missions" and my name on a pice of paper attached to the check. Do NOT write my name on the check memo line as it would be a violation of the tax deductible rules. All contributions are tax deductible. While money is important, it comes in a distant second to my need for your prayer support. Since prayer support is so important to the success of this mission, I would like to know if I can count on you in that area. May God bless you in your willingness to help support me and my team. The following are some suggestions on how to draft a mission support letter. This is not the final word on what should be in the letter, but a few suggestions to get you started. Remember, YOUR letter should share YOUR heart about your call to the mission field.  Spend some time in prayer asking the Lord to inspire you before you draft your letter.  You may want to start the letter with a brief explanation about how you found out about the mission opportunity, your desire to go be part of this trip and how the Lord confirmed that you were to go. This may include some brief statements about your relationship with the Lord, your past involvement in missions work, a specific time or verse that the Lord used to show you that this was something He has called you to do, etc.  Then you will want to briefly explain the mission trip. This can include details about the ministry you will working with, the country where you will be going, how long the trip is, the type of work that you will be doing, etc.  Then you will want to share what your need is financially, how much you are planning to contribute towards the missions opportunity and how much you need to raise. We recommend an approach of “full information, no solicitation”. It may be helpful to include what your budgeted expenses are, what portion of those expenses you will be able to cover and how much assistance you need.  Then just ask them to prayerfully consider how and what God may want them to assist you in this ministry opportunity. They may want to help with a financial donation or even commit to pray for you as you raise funds and while you are away. If someone is interested in contributing financially to your trip, they MUST follow the guidelines outlined on the attached “MISSION TRIP DONATIONS FORM”. Please copy this form and include it with every support letter you send out. If you would like someone to review a draft of your support letter please feel free to call Jackie at toll free 855-777-3742.  The IRS regulations for donor’s state that checks made payable to individuals are not tax deductible. Therefore, please do not make checks payable to a specific team member or staff person when contributing funds for a Epic Missions Missions Trip. A tax deduction may be denied if an individual’s name appears on the check.  Do not send postdated checks.  Receipts will be mailed at year-end. If you wish a tax deduction for your gift, please do not contribute cash. Please utilize a money order or cashier’s check, made payable to Epic Missions. 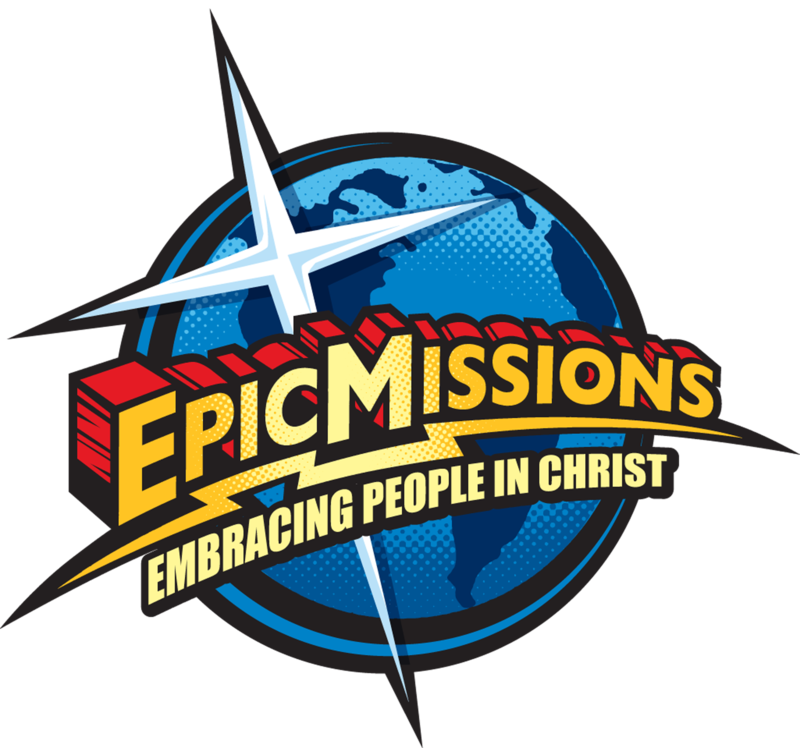  Please understand that all money is donated to Epic Missions and is neither refundable nor transferable. In the event that a team member raises contributions in excess of the mission trip expenses or decides not to go and cancels, Epic Missions will use the money towards missionary endeavors. All money is solely donated to Epic Missions. Financial disbursement is at the discretion of Epic Missions for mission work. 1. Make checks payable to Epic Missions. 2. The name of the team member should NOT appear anywhere on the check. 3. Complete the coupon below. Please know that Epic Missions Missions Ministry will make every effort to honor your donation intensions. However, all contributions are donated with the understanding that Epic Missions has complete discretion and control over donations. Please check if you would like to support this team member through prayer.